Mark at Amazon Buy Mark’s new book at Amazon. Book Review – Seattle Post Is it practical? One challenge many ethics and compliance officers face is working with HR. The puzzle is that it is not always easy to get along with HR. In fact, in some organizations the HR function is derisively described as “Fortress HR.” I take a look at why this relationship is troubled from the perspective of HR in the most recent issue of Workforce magazine. You can read the article at http://www.workforce-digital.com/read-wf/december_2015?pg=44#pg44. 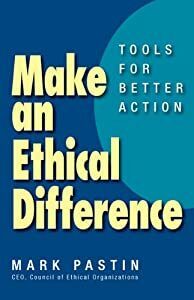 While there will continue to be new posts on longer topics on ethicswhisperer.com, I also encourage you to follow markpastin.com, which is updated more frequently and focuses on issues of the day. Of course, your comments are always welcome on any of our sites.